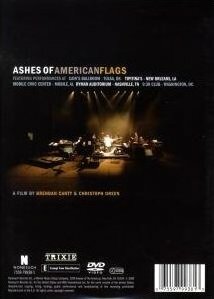 On April 28, 2009 Wilco will release a new DVD entitled Ashes of American Flags. 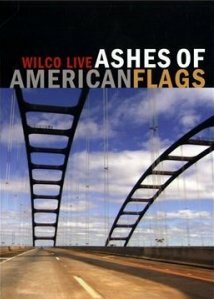 The full length concert DVD, (which actually was first made available on Record Store Day at selected retailers), chronicles the performances and personal escapades of Wilco over the course of its 2008 US tour. at sound check, back stage and on the bus, where band members offer insights into their lives on the road and their remarkably intuitive communication as a group. As you might have guessed, Wilco are about to head out on a big tour which will bring them to the Keyspan Park at Coney Island on July 13, 2009. Tickets for that show go on presale via FrontGate Tickets starting on Wednesday, April 22nd at 10am ET. Tickets go on sale to the general public, Friday, April 27 at noon. Trailer for Ashes of American Flags and all tour dates after the jump.